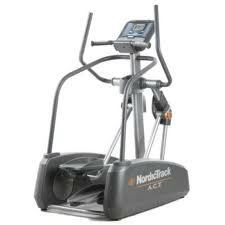 The NordicTrack A.C.T. Commercial elliptical is a simple yet effective workout machine that will definitely make you lose weight, be healthy and stay in shape. It features the iFit Workout Card Technology with each card designed by a certified personal trainer and allows the automatic adjusting of the resistance and incline of the machine, while a voice of a personal trainer guide you every step of your workout. It will make you feel like working out in a gym at the comfort of your own home. It comes with 20 iFit personal trainer workouts so you can focus on your aerobic, weight loss or performance goals. Burn more calories with the touch of a button. Adjustable resistance controls quickly add intensity to your workout and personalize your results! Plus, with SMR� Silent Magnetic Resistance, every adjustment is quiet, smooth and natural. Built to withstand heavy use, the A.C.T. Elliptical accommodates up to 350 lbs. It's perfect for every body. 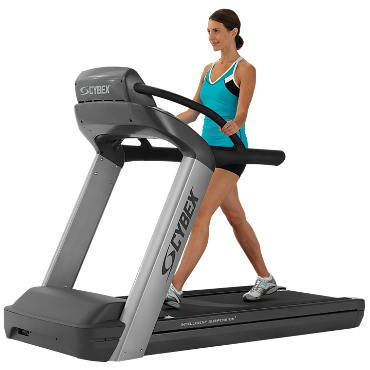 Slightly longer than half the length of traditional ellipticals, the NordicTrack� A.C.T. Elliptical packs a powerful workout in a home-friendly design. Built with commercial-grade steel and accommodating up to a 22" stride length, this elliptical is ideal for your home gym. 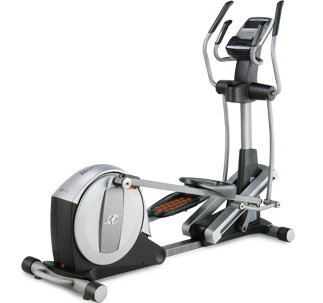 This elliptical comes with a Lifetime Frame Warranty and 1-Year Parts & Labor Warranty. 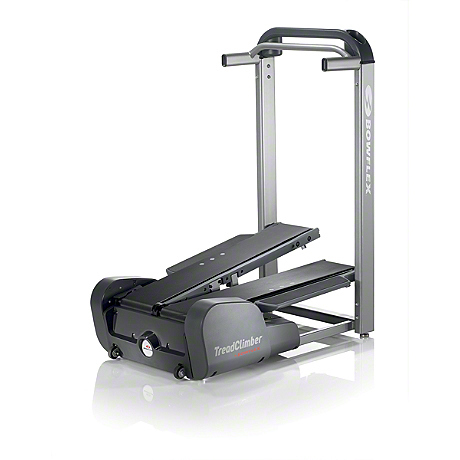 Target different muscle groups for even faster results with adjustable stride on the A.C.T. Elliptical. Shorter strides mimic walking while the extra-long 22" stride replicates a running gait. Plus, for multi-user families, each individual can personalize their stride to stay comfortable or work different muscles. Burn maximum calories with built-in workouts designed by a Certified Personal Trainer. Choose from 26 workouts that target calorie-burning goals through intensity, performance or aerobic training. Your speed, time, distance and resistance are preset so all you have to do is press start! Lose weight with America's Toughest Trainer, Jillian Michaels. The ultimate motivation, Jillian's voice coaches you through your unique weight-loss program to help you burn calories, slim down and reach your goals! A new workout is automatically downloaded every day to the elliptical. Each workout in your personalized 8-week program is progressive from start to finish and automatically controls your resistance to maximize your results! Get training from a real personal trainer in the comfort of your living room. Whether you want to lose weight or train for a marathon, workouts are created just for you! A Certified Personal Trainer creates a unique, personalized program and loads the workouts right onto your equipment through iFit Live� Technology. Workouts automatically adjust the resistance of the elliptical to maximize your results. Make the most out of every workout by monitoring your heart rate with built-in handlebar sensors. They will ensure you are in the right training zone for your goals. Across the street or around the world�you draw it and iFit Live� Technology turns it into a workout! Powered by Google Maps�, workouts recreate the route, automatically adjusting the resistance to match the intensity of the terrain. The elliptical does what the street does! Choose a pre-drawn workout or draw a map anywhere in the world! Plus, compete against other iFit Live� community members; race and compare your time with people from around the world! *Requires iFit Live� wireless module which is sold separately. Buy an iFit Live� year subscription and receive the module for FREE giving you access to Google Maps�, training programs and much more! Get a total-body workout for faster weight loss with upper-body workout arms. Just by adding these workout arms to your workout, you'll get twice the calorie-burning results! Plus, with soft-touch grips, these upper-body arms are easy to hold and keep you comfortable throughout your workout! Stay comfortable throughout your workout with cushioned pedals. They're oversized to accommodate multiple sizes and offer a number of different foot positions. Track your progress on a track-style display! It�s easy to monitor your speed, pace and distance with this visual, quarter-mile racetrack. Stay cool while you drop the pounds with this built-in fan that features two speed settings. Track your total calories burned and your workout progress on this large, 6" backlit display. With a wide viewing angle, this display is easy to read and tracks your speed, time, distance, resistance, pulse and calories burned. Move to the beat of your favorite music with this built-in sound system. Plug your iPod�*, or MP3 Player, into the Interplay� Music Port for unbeatable sound quality. With the iPod� resting on the console shelf, it's within easy reach and leaves the controls right at your fingertips. * iPod is a trademark of Apple, Inc., registered in the US and other countries. iPod� not included.